Inventors solve problems, improve productivity and add to the quality of life. Ralph King has found ways to do all that on an even larger scale by helping inventors succeed and encouraging young people to pursue their dreams in an engineering or scientific field. Mr. King, with degrees in engineering and law, has built a distinguished career as a patent attorney, helping engineers and scientists protect and benefit from their intellectual property. He has also brought recognition and honor to them through his role in organizing the National Inventors Hall of Fame. Like many engineers, Mr. King, a Paducah native, recalls a childhood interest in “fixing things” as the beginning of his engineering education. As a University of Kentucky student, under the direction of Dr. E. B. Penrod, Mr. King strengthened his interest in protecting inventions for inventors and their employers. Dr. Penrod taught a course in engineering administration, and at his urging, Mr. King took electives in technical writing. Following completion of a Bachelor of Science degree in mechanical engineering at UK in 1960, and again with Dr. Penrod’s encouragement, Mr. King began work as a patent examiner in the U.S. Patent and Trademark Office in Washington, D.C. He continued his education at The George Washington University, specializing in patent and related law. Mr. King took on leadership responsibilities early in his law school days, and was instrumental in organizing the GW Student Patent Law Association, which he served as president. He graduated with the degree of Juris Doctor in 1964. After working as a patent examiner, Mr. King worked for an established Washington patent law firm as a patent attorney. He then formed his own intellectual property (patents, trademarks and copyrights) law firm with a partner in 1966. Over the next 16 years, the firm developed into a national leader, and Mr. King was recognized as being among the best in his profession. 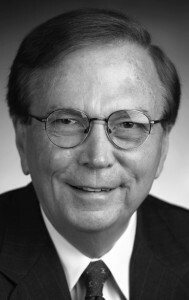 Mr. King served in leadership and speaker roles in several organizations, including the American Bar Association and American Intellectual Property Law Association. He served as chairperson of the Patent Section of the Virginia State Bar, and chair of the National Council of Intellectual Property Law Associations. Recognition by peers is an indisputable standard of excellence in any field, and Mr. King has earned that honor. He holds the top rating for professional ability and ethical standards from the two leading professional publications: Lexis Nexis – Martindale Hubbell 1978-2008 and Best Lawyers in America 1991-2008. In an effort to recognize inventors and inspire young people, Mr. King helped organize the National Inventors Hall of Fame, Inc., serving as president and chairperson from 1977-1979. During that time, a Hall of Fame facility opened in Washington, D.C. Today the Hall of Fame has matured into an excellent public attraction worthy of the innovators it recognizes. Now housed in its own building in Akron, Ohio (more members are from Ohio than any other state), it features working and hands-on exhibits that honor each member’s most notable inventions. Mr. King continues to serve on the Hall’s Advisory Board and has a special interest in the educational programs that have grown out of the original Hall of Fame concept. Included is Camp Invention for young people in grades 1-6, which attracts approximately 3,000 Kentucky youngsters and tens of thousands nationwide. Current engineering students participate in NIHF Collegiate Inventors Competition (www.invent.org). Mr. King returned to Kentucky in 1982 and formed a new intellectual property law firm that has prospered and become a leading regional firm. With two partners, Mr. King authored Intellectual Property, a book regarded by engineers and general practice attorneys alike as an outstanding guide for protecting property rights in a highly competitive world. Mr. King and others in the firm work with research professors and engineers within the UK Research Foundation to protect their property rights. This relationship assists in landing new UK research contracts and in gaining licensing revenue during the limited time of the patent (20 years). In the mid-1980s, Mr. King proposed to the UK Athletics Department to update and federally register the University’s famous trademarks (including a new Wildcat logo). Based on that success, he worked to establish the highly successful licensing program for UK that exists today. Annual income has reached $2 million, substantially benefiting the University’s academic program. Mr. King’s contributions in licensing university sports team trademarks put him in demand as a speaker at NCAA Professional Development Seminars. Mr. King resides in Lexington. His wife, Janis, passed away in 2013. They have two sons.